Did you suffer serious injuries or did you lose a loved one killed in a motorcycle accident in Virginia? If so, the experienced motorcycle attorneys of CHASENBOSCOLO are here to help you get the full and fair compensation you deserve. Virginia is a state that is filled with ideal riding locations for motorcyclists, from the Chesapeake Bay Bridge-Tunnel to the Nelson Scenic Loop to the George Washington Memorial Parkway. Whether you are riding a motorcycle on Virginia State Route 16 through the “Back of the Dragon” or taking Virginia State Route 39 through the Allegheny Mountains, all roads in Virginia carry certain risks for motorcyclists. Motorcycles are much smaller than passenger vehicles, and their operators do not have anywhere near the same level of protection. As a result, many motorcycle accidents result in devastating injuries for motorcyclists. Motorcycle crashes involving other motor vehicles are often the result of driver negligence. The negligent drivers can be liable for all of a victim’s medical expenses, lost income, and other damages. CHASENBOSCOLO understands the many ways that a motorcycle crash can impact a person’s life, and we fight to help people get the damages they need to recover and move on with their lives. Our Virginia motorcycle accident lawyers can answer all of your legal questions as soon as you call (703) 538-1138 or contact us online to receive a free consultation. Many people injured in motorcycle accidents understandably think of themselves as being victims, but insurance companies will not automatically draw this conclusion. In many cases, they will usually try to argue a motorcyclist contributed to or caused their accident. An attorney is valuable because they will be able to conduct an independent investigation. The lawyer can determine the cause of your crash, preserve evidence, and identify all liable parties. If you handle your claim on your own, the insurance company will likely use your conversation to get you to make statements in which you admit to negligence unknowingly. These statements will then be used as the basis for reducing or even denying your claim. In other cases, an insurer may offer you a settlement that it will then pressure you into accepting. You should know that whatever you are being offered is probably much less than what you are entitled to, but an attorney will be able to help you recover an amount that is much closer to what your case is worth. CHASENBOSCOLO has been helping clients all over Virginia since 1986. Our commitment has always been to taking care of our clients. Our team includes 25 attorneys and more than 90 professionals with over 100 years of legal experience. You can contact us 24 hours a day, seven days a week. CHASENBOSCOLO has recovered hundreds of millions of dollars for thousands of clients. 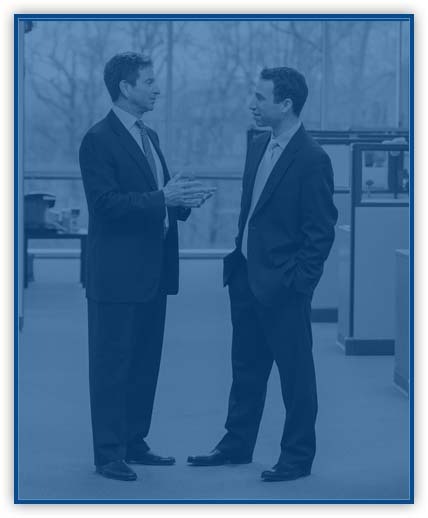 Barry M. Chasen and Benjamin T. Boscolo have both been awarded AV Preeminent ratings by Martindale-Hubbell. We also have the No Fee Guarantee®, which means that you pay nothing without getting a financial award. Our firm can work towards a settlement, but we are always willing to file a lawsuit if it is necessary to get you proper compensation. Virginia Code § 46.2-910 establishes that all operators and passengers on motorcycles must wear protective helmets, and people operating motorcycles must wear a face shield, safety glasses or goggles, or have their motorcycle equipped with safety glass or a windshield. These types of safety equipment can certainly help reduce the chances of certain accidents or severe head injuries, but they cannot prevent all injuries. Not all motorcycle accidents necessarily involve other motor vehicles. Some crashes can be entirely isolated incidents, but these accidents are not caused by driver error. Instead, there is often a mechanical issue involved. A defective motorcycle part could make the manufacturer liable for a victim’s injuries. An improperly repaired motorcycle could make the maintenance company responsible. What should I do if I was involved in a motorcycle accident in Virginia? You should always be sure to receive medical care after any motorcycle accident. Even if you do not think that you were hurt, you should still visit a hospital. Not all injuries involve immediate symptoms. It is also recommended that you try to collect the evidence that you can at the scene of your crash. The best way to do this is usually to take multiple pictures of everything involved in your accident and take the photographs from several different angles and distances. You can never take too many pictures. Also, ask any people who saw your accident for their names and phone numbers. When you cannot do this yourself, ask a friend, family member, or neighbor to do this for you. Contact an attorney before speaking to any insurance company. Can I still recover damages if I was partially at fault for my motorcycle accident? No, you cannot. This is precisely why you want a lawyer to speak to an insurance company for you. Only five states in the country recognize a pure contributory negligence defense, and Virginia is one of those five. Contributory negligence means a person is prohibited from recovering any damages from another party when they contributed to their injuries in any way. In other words, even a party who is 99 percent at fault for your injuries will owe you nothing if you were just 1 percent at fault. Do not say anything about your accident to anybody or on any social media accounts until you have legal representation. How long do I have to file a lawsuit for my motorcycle accident? Under Virginia Code § 8.01-243.A, a person has two years from the date of an accident to bring an action for injuries. The statute of limitations can be tolled (delayed) when a victim is a minor, as they will have two years to file from the date of their 18th birthday. If a motorcyclist is killed, the statute of limitations is also two years for a wrongful death claim. The limitations period, however, begins on the date of a person’s death instead of the date of the accident. Virginia Code § 8.01-243.E provides a five-year statute of limitations for civil actions relating to property damage. According to the 2017 Virginia Traffic Crash Facts from the Virginia Department of Motor Vehicles (DMV), the 2,119 motorcycle crashes in the state represented 1.7 percent of all crashes that year. The 107 motorcycle riders killed represented 12.7 percent of all traffic fatalities, tthe1,794 motorcycle riders injured represented 2.7 percent of all traffic injuries, and the 770 motorcycle riders seriously injured represented 10.1 percent of all serious traffic injuries. The 107 motorcycle riders killed included 102 drivers and five passengers. The 1,794 injuries included 1,697 injured drivers and 107 injured passengers. The 770 serious injuries included 708 seriously injured drivers and 62 seriously injured passengers. Of the 107 motorcycle rider fatalities, 99 deaths (92.5 percent) occurred on non-interstate roads and eight deaths (7.5 percent) occurred on interstates. Among these deaths, 60 fatalities (56.1 percent) were multi-vehicle crashes and 47 fatalities (43.9 percent) were single-vehicle. The motorcycle driver action recorded most often was following too close with 163 (7.4 percent), speed too fast with 140 (6.4 percent), avoiding other vehicle with 103 (4.7 percent), improper lane change with 34 (1.6 percent), improper passing with 34 (1.6 percent), failure to yield with 28 (1.3 percent), improper turn with 20 (0.9 percent), left of center (not passing) with 15 (0.7 percent), and ran traffic control with 14 (0.6 percent). Other was recorded in 774 cases (35.3 percent), no improper action was recorded in 820 cases (37.4 percent), and no action was provided or applicable in 32 cases (1.5 percent). If you sustained severe injuries or your loved one was killed in a motorcycle crash in Virginia, you are probably overwhelmed with the number of concerns you have about possible obstacles you will face in your recovery. You should know that there is help available to you so you can achieve the most favorable possible outcome to your case. CHASENBOSCOLO can fight to make sure you get justice. Call (703) 538-1138 or contact us online to set up a free consultation with a knowledgeable member of our team today.